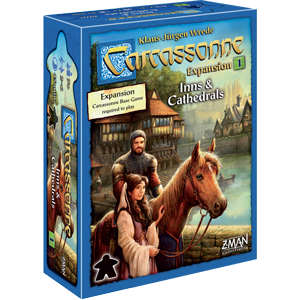 New pieces offer tremendous strategic flexibility in this Carcassonne expansion. 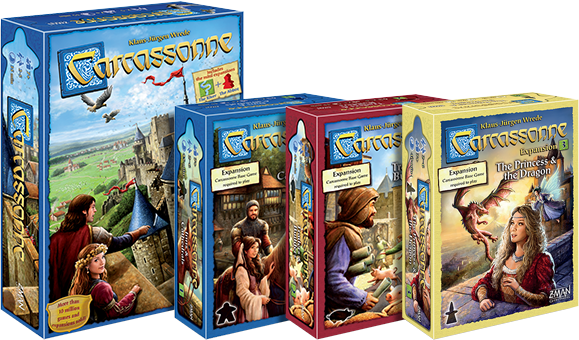 Clever follower placement is a hallmark of Carcassonne. 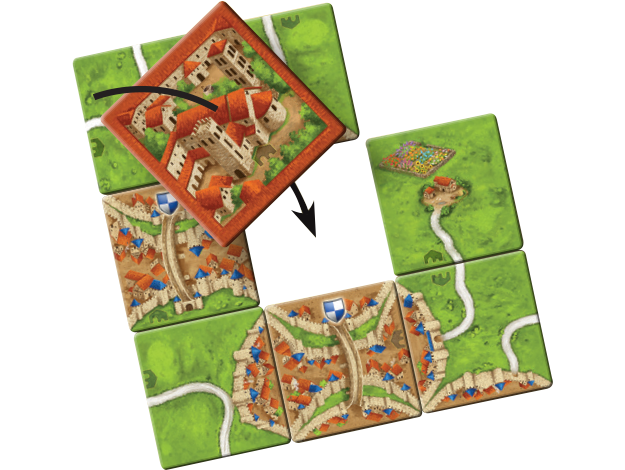 With the components in Abbey & Mayor, you can devise new ways to get the most out of each piece. 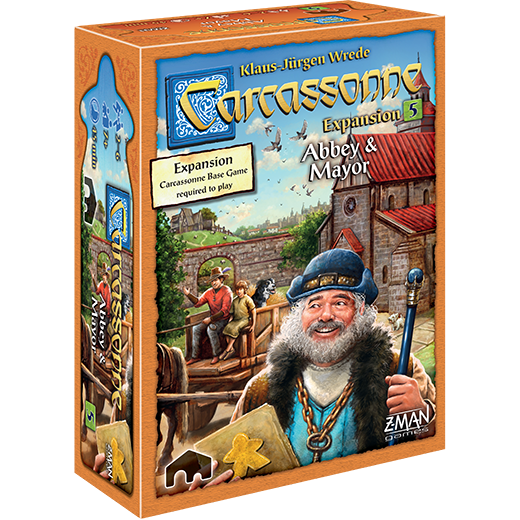 A well-placed Mayor can override other players’ followers and even circumvent large meeples. 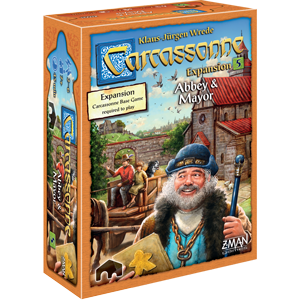 Also, since the Mayor’s strength is equal to the number of coats of arms in their city, this increased strength also nets them the extra points those same coats of arms provide. 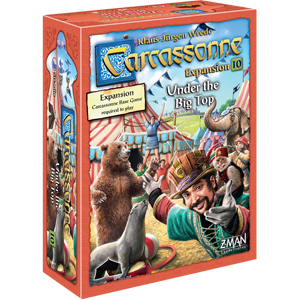 You can also use wagons to swoop in and take over features before your opponents can get to them. While first placed like a normal follower, you can move a wagon immediately to an adjacent, uninhabited feature once the original placement is scored. 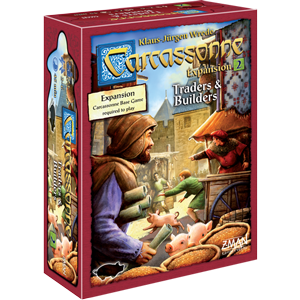 Finally, Barns score any farmers in the field they’re placed in and bestow extra points at the end of the game. 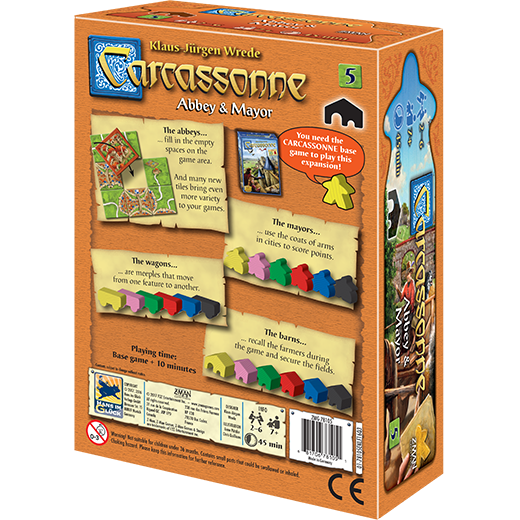 Played on their own with the base game or combined with other Carcassonne expansions, Abbey & Mayor provides plenty of new paths to victory.